So you're thinking about taking a class in American Sign Language???? That's a GREAT idea!!! Do it! Go crazy!! And bring your friends! You will have a blast! American Sign Language is the fourth most commonly used language in the United States. Taking an ASL class is an excellent way to boost your resume and make you a more marketable employee. It will help you to better communicate with Deaf friends or co-workers. An extra benefit to learning ASL is that you will notice a significant improvement in your ability to communicate with others. 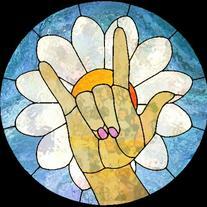 Students taking the ASL courses will learn vocabulary, fingerspelling, grammar, structure, and syntax. Students will also learn about Deaf culture and the Deaf community. CLASSES BEGIN ON JUNE 4TH AND 6TH!!! !